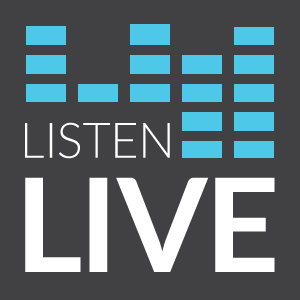 Pulse 101.7 FM – Page 193 – Today's Positive Music! The Pulse XB is ready to add some fun to your event. We have several interactive levels, great music resources, and of course – are able to blast out some of the best music in the world! Reserve your date for a visit, a presentation about positive music media, or distribution of our very helpful comparative music guides. Help bring cool positive music to your neighborhood, home, church and school! Rachel Leigh’s Girls’ Night Out was the first of its kind when we kicked off our inaugural event back in February of 2003. Many have copied the idea since then, but our Girls’ Night Out continues to evolve and bring you new, exciting features each year. From the chocolate fondue fountain to live music, fashion shows to shopping, massages and manicures, you can count on having all the things you love right at your fingertips! Always the Saturday night before “Big Game” Sunday, it’s a great time just for us grown-up girls. 5:30-10 PM at the Pulse Studios at Fox Creek. $5 at the door – bring your friends! 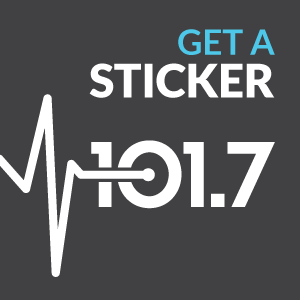 We have developed an awesome list of Pulse 101.7 AdPartners who support your station, and lots of great connections to save you money, time, and energy! Check it out at Pulse1017.com/GoodLiving. Wondering about the Music Advisory Team?! 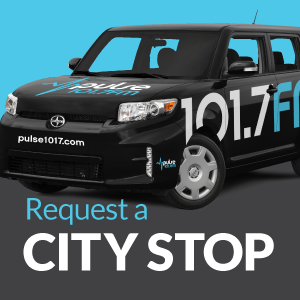 Sign up here and you’ll have the opportunity to take a monthly survey and rate the songs you’re hearing on Pulse 101.7 FM. Each time you complete a survey, you’ll also be in the running for great prizes, like Pulse music and concert tickets! Thanks for contributing and helping shape the sound of your station. Because Pulse music is spiritual and cool at the same time, we know we have a lot of young listeners. You’re chilling out, driving, or studying in the late nite, so we expand interaction to fit your connected lifestyle. Share your choices for cool music. Conversations about real life stuff. Find new music. Buy Pulse 101.7 Hit Music from the I-tunes store. Afterdark Access. Check it out. We think you’re going to like it!